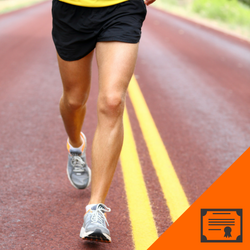 The purpose of this course is to teach trainers the basic science of running. Running seems simple enough, but it is actually very complex movement and, if you want to get the most from it, it is important to understand and implement proper running mechanics. Almost every sport requires some type of running. Therefore, it is crucial for trainers, especially those working with athletes, to understand the fundamentals. This course explains and demonstrates basic running mechanics and common dysfunctions. You learn how to identify these common dysfunctions and correct them. This course teaches warm up and stretching methods that will reduce injury and improve times. We demonstrate simple exercises that are easy to apply and have immediate benefit. After your purchase of this course, you will receive an email confirmation and instructions for accessing all course material, videos and the test through your personal NFPT online account. When you pass the test, you are instantly awarded your certificate of completion for printing and display. If you are an NFPT Certified Personal Trainer, your continuing education credits (CECs) automatically post to your account.